Have you ever thought of buying old cars? But what if the buyer fools you by selling you the car that’s not worth the price. The car that the seller is selling you may be having engine problem or any such problems. And if you are a novice to cars, then you won’t be realizing whether are any faults with the car or not. The seller will go on appraising the car and we just have to listen to what they are saying. Even if we ask them about the engine and other things, they would be saying that everything is working perfectly. And you may sometimes understand about the truth only after 2-3 days from buying the car. And by that time it would be too late to ask for refund of the money as well. So, how we make sure that we are buying old cars that are worth the price? 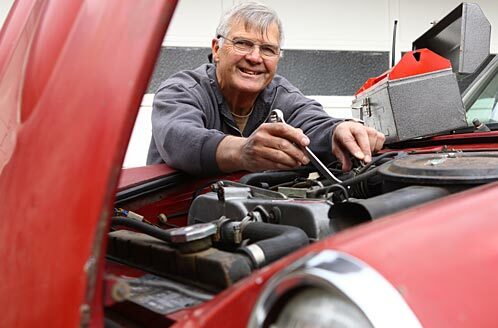 You can take the help of classic cars – inspection service providers. What are the classic cars inspection services actually? They appraise the cars the right way and will make us understand the real price of the car. But how are they inspecting the things? right? Well, the they would be with the experienced car professionals. And they will be checking the engines, the interiors, the tanks, cylinders, wheeels, paints, exterior body of the car etc. And after inspecting about these things, they would be telling you whether there would be any sort of problems that you would be facing after the buying the car or not. And this way, you can make sure that you are getting the right car for the price that you are paying for. Not just that, after the inspection is over, they would be giving you an estimated price of the car that they think it is worth. You can compare it with the price for which the seller is offering you the car. If you think that you are getting the car for the best price then you can continue buying the car, otherwise you can cancel it. This way, the classic car inspection services are making things from our side pretty easy.